I’m happy to develop a training or consultation package that works for you, put together a proposal or just get straight down to a brief. I also offer licensing options on training packages. work to the Information Standard. report with suggestions and guidelines. These are just some examples. Here is a full list of current and past projects. Radio 1 Sunday Surgery – moderation, support and signposting on Radio 1’s Sunday Surgery Facebook page during broadcasts on work and study, body image, relationships, cyber bullying and benefits. Mind – online community consultation workshops, moderation guidelines, moderator training and co-design of a new app, new functionality and wellbeing content. Contact a Family – supported CAF to co-design and develop community moderation processes and guidelines. Developed volunteer roles for their new community platform. Provided ongoing moderation and staff moderation support for seven months. 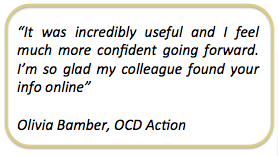 OCD Action – ‘Introduction to moderator skills’ training (bespoke sessions) . Action on Post Partum Psychosis – ‘Providing online peer support’ training workshops and follow up (four bespoke sessions). 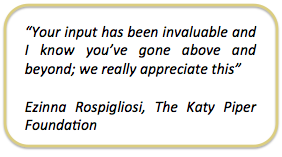 The Katy Piper Foundation – reviewed forum guidelines, moderator training and safeguarding procedures. 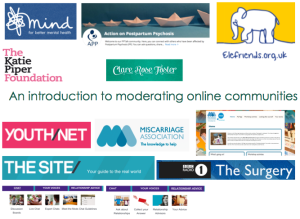 Leeds Mind and NHS Leeds South and East CCG – ‘An introduction to moderating online communities’ training (bespoke sessions). The Mix – moderated real time support chat sessions, moderated The Mix discussion boards and comments and trained new moderators. City Year – self care training session for City Year volunteers. 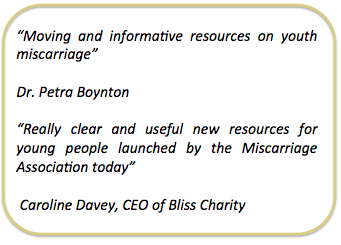 The Miscarriage Association – reviewed forum guidelines and implemented recommendations. 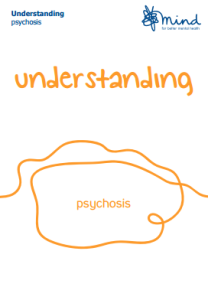 Mind – eight detailed online resources and information booklets on mental health. Money and mental health hub highly commended in BMA Patient Information Awards, also receiving runner-up in the Self-Care special award. The Mix (was TheSite.org) – mental health information for 16-25 year olds. A series of articles on sexual abuse, gang life and breaking free from crime for 11 – 16 year olds. The Miscarriage Association – online information resources and a leaflet about miscarriage for young people (highly commended in BMA Patient Information Awards, also receiving runner-up in the Youth Resources special award). Radio 1 (BBC Advice )- Reviewed and updated Radio 1’s BBC Advice page for young people on mental health, eating problems and disorders, anxiety and stress and body image. The Mix and Lloyds Banking Group Money for Life project – Student debt explained and 12 ways to keep your money safe. The British Lung Foundation – section on children’s lungs and schools leaflet on air pollution. 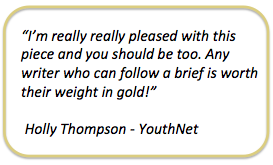 YouthNet – OCN accredited on and offline course ‘Giving Relationships Advice Online’ (developed and delivered). YouthNet – ‘Understanding anxiety and depression’ training course for volunteer peer advisors. The Miscarriage Association – six good practice guides for health professionals and learning summary page. The Telegraph – ‘Mum said it was for the best – why young women need miscarriage support fast’. 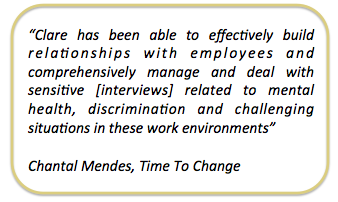 Time to Change – seven ‘Organisational Healthcheck’ reports. OnePlusOne – competitor analysis and report of existing online relationship support services. 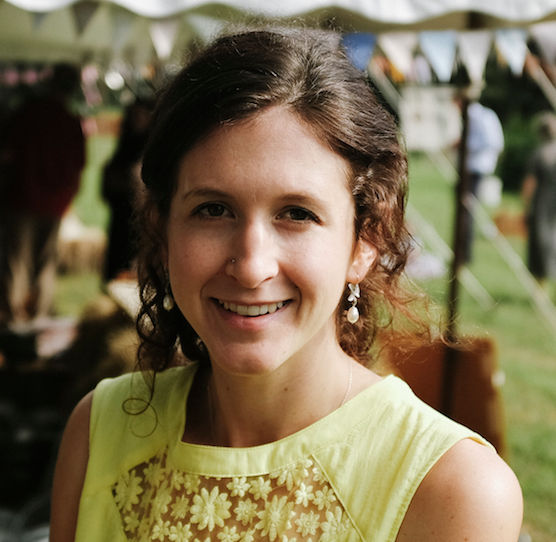 The Miscarriage Association – on and offline consultation workshops for young people. The Miscarriage Association – research and report with health professionals and service users to inform the development and accreditation of new learning films and good practice guides. Mind – online community consultation workshops and evaluation survey design. See work and projects, recommendations and my LinkedIn profile for more detail.